Show Home Open Sat, Sun 11.00 - 4.00 and Monday 11.00 - 2.00 15 Edgehill View comprises kitchen dining area, living area, study, five bedrooms, two ensuite, family bathroom, gardens and double garage. 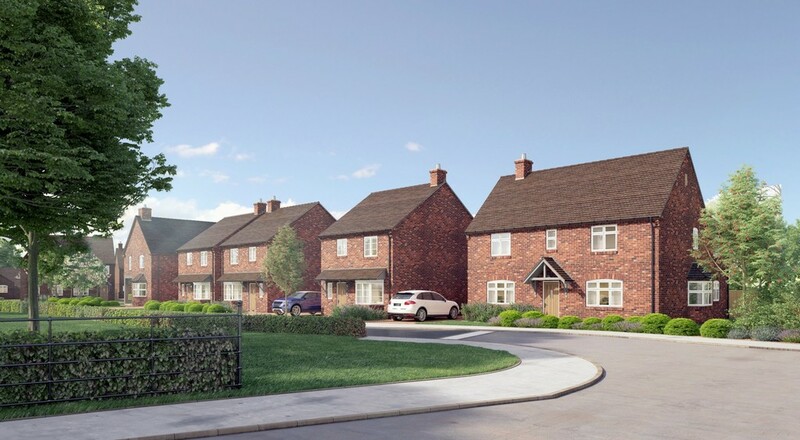 Located on the outskirts of Gaydon village a new development of fifteen individually designed houses on what was formerly part of Gaydon Farm, with attractive far reaching views towards Edgehill and the Burton Dassett Hills. These new homes have been designed sympathetically with consideration for the rustic character of the village. Built to an excellent standard each enjoys a high specification. Show Home Open Sat, Sun 11.00 - 4.00 and Monday 11.00 - 2.00 Edgehill View comprises kitchen dining area, living area, study, five bedrooms, two ensuite, family bathroom, gardens and double garage. Located on the outskirts of Gaydon village a new development of fifteen individually designed houses on what was formerly part of Gaydon Farm, with attractive far reaching views towards Edgehill and the Burton Dassett Hills. These new homes have been designed sympathetically with consideration for the rustic character of the village. Built to an excellent standard each enjoys a high specification. 1 Edgehill View comprises living room, kitchen dining room, family room, office, four bedrooms, two ensuites, family bathroom, gardens and garage. 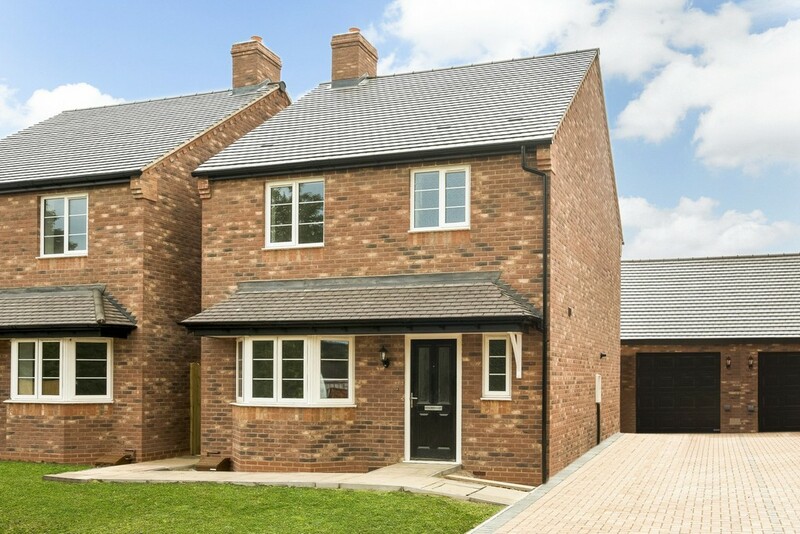 Located on the outskirts of Gaydon village a new development of fifteen individually designed houses on what was formerly part of Gaydon Farm, with attractive far reaching views towards Edgehill and the Burton Dassett Hills. 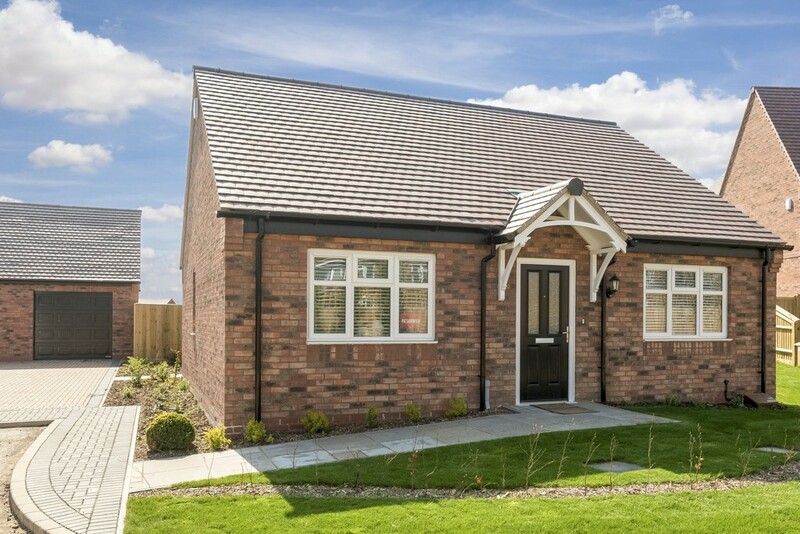 These new homes have been designed sympathetically with consideration for the rustic character of the village. Built to an excellent standard each enjoys a high specification. 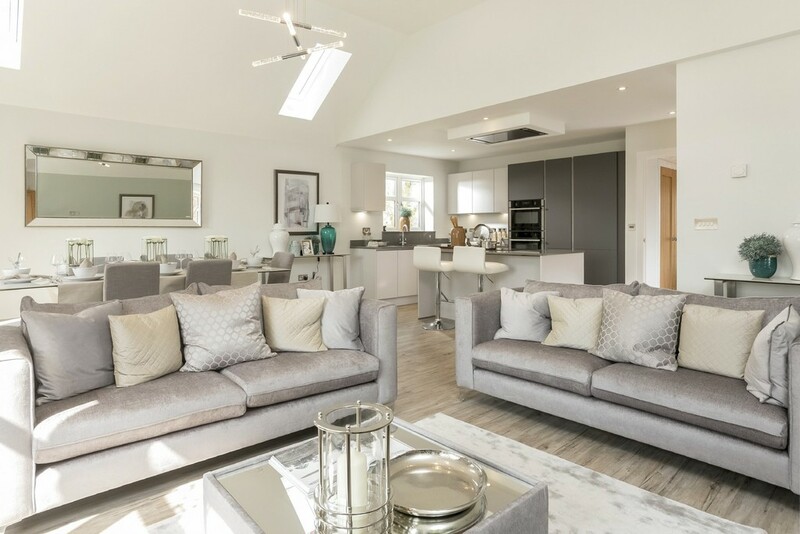 Show Home Open Sat, Sun 11.00 - 4.00 and Monday 11.00 - 2.00 The beautiful Show Home, which includes carpets and curtains, is located on the outskirts of Gaydon village comprises living room, kitchen area, dining area, four bedrooms, ensuite, family bathroom, gardens and garage. A new development of fifteen individually designed houses on what was formerly part of Gaydon Farm, with attractive far reaching views towards Edgehill and the Burton Dassett Hills. 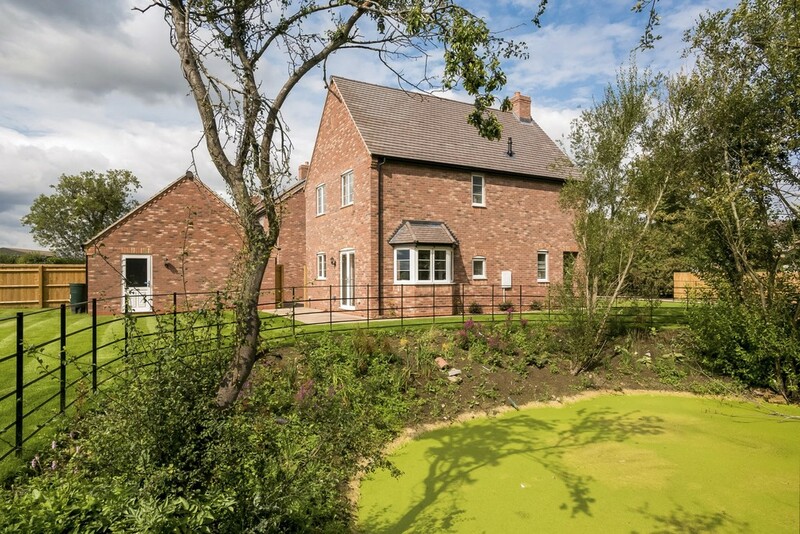 These new homes have been designed sympathetically with consideration for the rustic character of the village. Built to an excellent standard each enjoys a high specification. Show Home Open Sat, Sun 11.00 - 4.00 and Monday 11.00 - 2.00 12 Edgehil View comprises kitchen living area, bedroom three/snug, two bedrooms, ensuite, family bathroom, gardens and single garage. 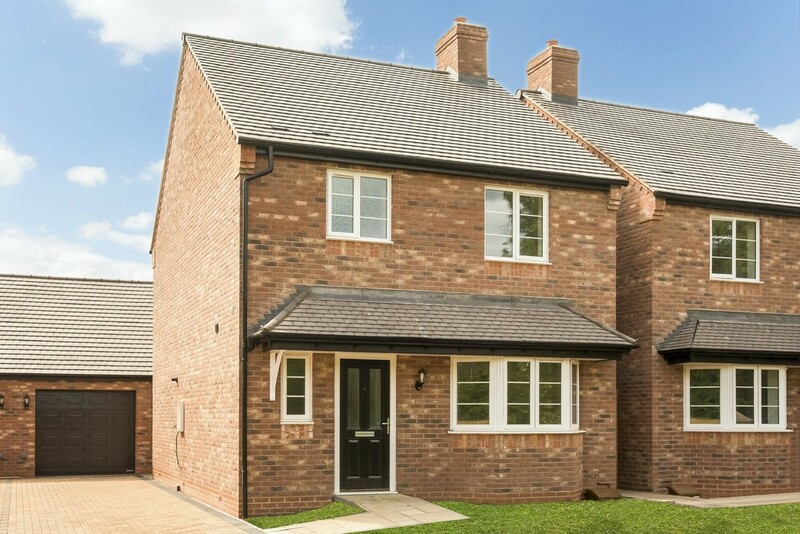 Located on the outskirts of Gaydon village a new development of fifteen individually designed houses on what was formerly part of Gaydon Farm, with attractive far reaching views towards Edgehill and the Burton Dassett Hills. These new homes have been designed sympathetically with consideration for the rustic character of the village. Built to an excellent standard each enjoys a high specification. Edgehill View comprises living/dining/kitchen, study/bedroom three, two bedrooms, ensuite, family bathroom, gardens and single garage. Located on the outskirts of Gaydon village a new development of fifteen individually designed houses on what was formerly part of Gaydon Farm, with attractive far reaching views towards Edgehill and the Burton Dassett Hills. These new homes have been designed sympathetically with consideration for the rustic character of the village. Built to an excellent standard each enjoys a high specification. Show Home Open Sat, Sun 11.00 - 4.00 and Monday 11.00 - 2.00 - 4 Edgehill View comprises living room, kitchen dining room, three bedrooms, ensuite, family bathroom, gardens & single garage. Located on the outskirts of Gaydon village a new development of fifteen individually designed houses on what was formerly part of Gaydon Farm, with attractive far reaching views towards Edgehill and the Burton Dassett Hills. These new homes have been designed sympathetically with consideration for the rustic character of the village. Built to an excellent standard each enjoys a high specification. LVT to kitchens, utilities, hall & cloakroom. Individually designed fitted kitchens with Solid Quartz worktops, up stands and glass splash backs. Integrated Neff appliances to include a ceramic induction hob, single or double oven depending on plot size, combination microwave oven and hood. Integrated dishwasher and fridge freezer. Washer dryers included to plots without utility rooms. White contemporary sanitary ware with polished chrome fittings. Glass shower cubicles with stone resin shower trays. Wall mirrors, shaver sockets and multi-rail chrome towel warmers. Underfloor heating to the ground floors. Thermostatic radiator valves to first floor radiators. Remote access heating control accessible from smart phones & mobile devices. Traditionally styled double glazed UPVC casement windows providing a high level of thermal insulation & reduced heat loss. GRP Front entrance doors with five-point locking, diamond bevelled glass, polished chrome handles & letter plates. Hormann sectional panelled garage doors to match the entrance doors with remote opening. Deep painted contemporary skirting & architraves. Panel oak veneer internal doors. Built in wardrobes to the Master bedroom. Contemporary style satin switches to ground floor. Low energy fittings throughout with down lighters to the kitchen, living room, family bathroom and en-suites. Lighting to external doors with PIR sensors. Integrated television reception system, digital terrestrial, Sky Plus provision, DAB & FM radio including aerial & amplifier. Paved patio areas and pathways. Close boarded & capped fencing, or post and rail fencing where overlooking open countryside. External waterproof sockets & a water tap to the rear of the properties. Laminated flooring to kitchens, hall & cloakroom. Individually designed fitted kitchens with worktops, up stands and glass splash backs. Integrated appliances to include a ceramic induction hob and hood, single oven, combination microwave oven, dishwasher, washer dryer and fridge freezer. Shaver sockets and multi-rail chrome towel warmers. Thermostatic radiator valves to radiators. Painted vertical panel internal doors. Low energy fittings throughout with down lighters to the kitchen, family bathroom and en-suites. FM radio including aerial & amplifier. Were born in the Parish of Gaydon or whose parent(s) were ordinarily resident in that Parish at the time of birth or Currently lives in The Parish of Gaydon and have done so for at least the past 12 months or Used to live in the Parish of Gaydon and did so for a continuous period of not less than three years or Currently work in the Parish of Gaydon and have done so for at least the past 12 months for an average of not less than 16 hours per week or Currently has a close family member (limited to mother, father, brother, sister, son or daughter) living in the Parish of Gaydon and who has done so for a continuous period of not less than three years. Once the initial 6 week period has passed the properties can be sold to anyone provided they “at all times occupy such unit only as their sole or principle residence”.